Imagine 55 stories in just five days of camp. It’s clear that this year’s students at Newsroom by the Bay have been busy and successful since day one. From reporting on food trucks around San Francisco, to covering the Supreme Court ruling on President Obama’s healthcare plan, the stories are just as diverse as the students. Students have come from all around the world to attend NBTB 2012, with one student even flying in from Ho Chi Minh City in South Vietnam. 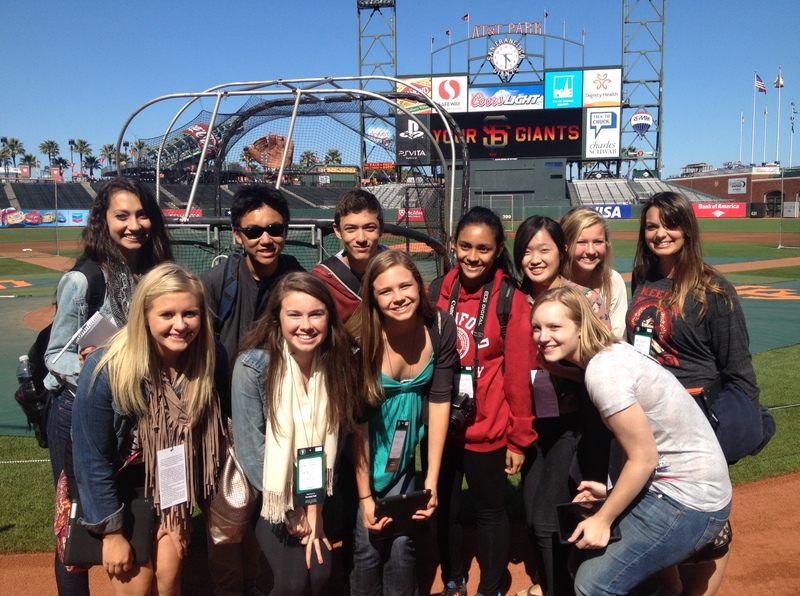 NBTB students enjoy a rare pre-game tour of the field at AT&T Park prior to a San Francisco Giants vs. Cincinnati Reds game on Friday, June 29. Thanks to the Giants, students also had access to the press box as well as a pre-game chalk talk in the Giants dugout. “The people come from all over and it’s really interesting to see people’s backgrounds and how we can all come together and get along,” said Meesha Merat, a rising senior at Oak Park High School in Oak Park, Calif. Throughout the week, the students have been given insider access to various experiences to help them inspired and gather more information about topics they’re interested in. The activities ranged from a rare visit to the Stanford Linear Accelerator Center (SLAC), to Stanford’s Jazz Festival, a trip to a San Francisco Giants game and a peek at the “treasures” of the Hoover Institution, including X-rays of Adolf Hitler’s brain, the bombing memos that directed U.S. pilots over Nagasaki and Hiroshima, and a White House memo with the first mention of “a New Deal” for Depression-era America. 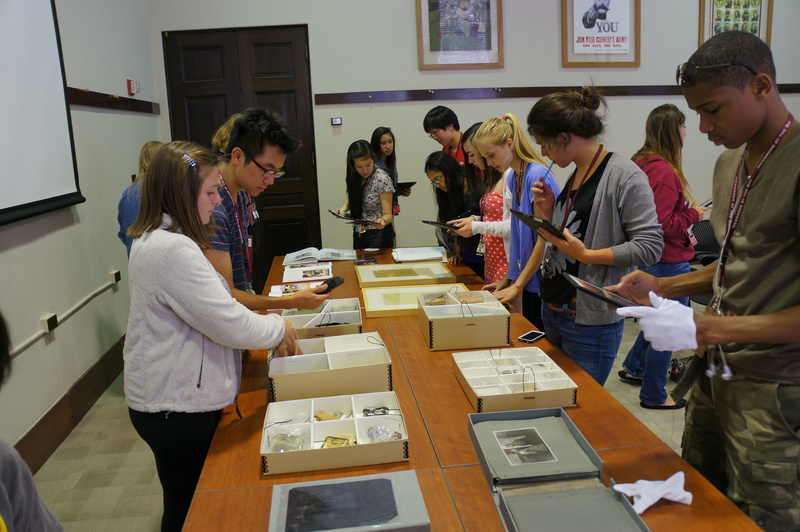 NBTB students peruse a selection of historical artifacts at Stanford’s Hoover Institution, including a World War I gas mask for a horse and rare photographs from Stalin-era Russia. “I felt immensely happy that I had the opportunity to see something that not many people see and be present where world discoveries are made every day,” said Juan Ruelas, a student who was given an inside tour of SLAC. Since NBTB began on Sunday, June 24, students have been working in teams to create stories, photos and videos for six news websites, which will be featured in a multimedia showcase to take place at Stanford on Saturday, June 30 at 8 p.m.
—Reported by Teagan Sebba, NBTB associate editor. Photo by Scott Landis, NBTB team leader.